Greg Willis helped me buy this house six years ago and then helped me sell this house. Greg knew the market and suggested an asking price above what we were thinking. He was right on and the house sold within days. During this time Greg, and his wife Dawn, kept us informed, in touch, and educated on the process. I never felt out of touch with the process or next steps. Greg and Dawn were a pleasure to work with! From the home search to the contract to the closing, they worked to make sure all of our expectations and needs were met. Greg was extremely accessible any time we wanted to look at a home and Dawn always answered our calls when we had questions. We cant thank them enough for our home buying experience! Greg and Dawn were such a blessing when buying my new home. I recently moved to Texas and was unsure of the differences between Texas and Colorado. They were always there to answer questions, and they made sure the process went smoothly. I'm so grateful for all that they have done to help me! I have used Greg and Dawn on several occasions to assist me with both purchasing a property and selling as well. We just completed another purchase transaction. Very professional and communication is always great. I won't call any anyone else. -- Jimmy L.
Greg and Dawn were so great to work with. Their knowledge in general and the process they used to sell our home was amazing. In the negotiations of the contract Dawn looked out for us completely. Her experience helped us to get the best price possible for our beautiful home. The pictures and listing description were done to perfection. We have worked with many realtors over the years and we can say that none did a better job than Greg and Dawn, thank you! This is the second house we’ve purchased using Dawn and Greg Willis. We couldn’t be more pleased! This most recent purchase involved a complicated seller situation with multiple heirs to the property. Dawn navigated all the ins and outs, communicating with us thoroughly at each step, and explaining all the legalities of the contract and amendments. I am convinced this sale would not have happened had not Dawn and Greg been there to advise and guide us through it. Their honesty and experience made the process sooo much easier than it would have otherwise been. If you are buying, or selling, I highly recommend these two awesome realtors! They were great on showing the house and keeping us informed of showing , potential intersted buyers. Great in contract information as we moved out of town and selling via internet. Greg and Dawn Willis were great to work with. I had to sell a house from two states away making things more difficult. They responded timely to all emails and phone call. They provided an honest assessment of the property and provided advise allowing us to sell the house almost immediately. I would do business with Greg and Dawn again for sure. As a Home Builder and home owner I have had many experiences in selling and buying a home. My experience with Greg and Dawn far exceeded any experience I have had. I will use them in all cases going forward. Both for saving money and for their professional and thorough service. Greg and his wife Dawn were wonderful with the selling of our home in DCBE. They were with us every step of the way through listing and the final sell and closing. Dawn kept you informed on all the paperwork and answered any questions you had and was always available to take your call. My husband and myself would recommend them to anyone looking to sale their home. Greg and Dawn Willis are professional realtors who understand the business. They work as a team to provide you the best possible service. I found them to be head and shoulders above all other realtors I have worked with. They care about your interests and are very knowledgeable about the buying and selling process. They have your best interests at heart and have the experience to negotiate and work through contracts. The good, the bad and the ugly. I would definitely use them again and recommend them highly. They save you money and provide you with better service then agents that don't reduce their rates. Bought a Single Family home in 2018 in Weatherford, TX. Greg helped us purchase our new home and saved us over $19,000 from what we would have paid at the listed price and paying our closing costs. They were very professional to deal with and very responsive to calls, texts and emails. They were great to work with as we moved from out of state. I highly recommend them! Sold a Single Family home in 2018 in Weatherford, TX. My Husband and I were so Thankful we found Greg and Dawn Willis in the selling of our home. They were very professional and caring. Greg and Dawn were always there when we had questions and they were always on top of everything. We received an offer after only four days on the market. Closing went very smoothly and we closed in less than a month. I would highly recommend Greg and Dawn; they will take care of you! Bought and sold a Single Family home in 2018 in Granbury, TX. My husband and I used Greg and Dawn for selling one hone and buying another. They saved us $6009 in real estate fees. You would never have believed they were receiving only 1.5% to handle the sale of our home. They gave us so much personal attention and kept us totally informed throughout the process on both homes. We highly recommend them for handling your real estate needs. Sold a Single Family home in 2018 in Mansfield, TX. Greg and Dawn Willis, listed and sold my home in 30 days. The house was professionally staged and photographed. I had multiple buyers in 2 days. The negotiations and document signing were seamless. All critical dated and documents were completed on time. The professionalism and savings on commission were greatly appreciated. I recommend and would surely use the real estate services of Greg and Dawn in the future. Bought a Single Family home in 2018 for approximately $325K in Granbury, TX. Greg and Dawn helped us buy our home and I would highly recommend them to anyone searching for a new home. Their responsiveness was almost immediate and they provided constant feedback so we were always kept well informed. They provided recommendations for services that we needed that were very competitively priced if not cheaper than what we were paying before (home warranty for example). They were also very knowledgeable about the location being that they lived in the same area. Of course the $1,800 rebate was very helpful. The hardest part wasn't the process but the actually moving itself. Sold a Single Family home in 2018 for approximately $300K in Granbury, TX. Working with Greg was a professional, impressive and calm experience for us. There is no question that he cannot answer and his patience with us was immeasurable. We would/have recommended his service to our friends who are thinking about selling this summer. Thanks for all you do Greg and know that you are in our hearts. We moved to Weatherford, Texas from Northern California in early May. After searching online for a real estate agent, we chose Greg and Dawn Willis to help us with our move. They were genuinely interested in our needs as a buyer. Their attention to details and their understanding of the local housing market helped us feel at ease. Being the best at what you do requires a great work ethic, and Greg and Dawn emulate this and more. Sold a Single Family home in 2018 for approximately $375K in Springtown, TX. Very professional approach. Having bought/sold 5 homes in my lifetime, Greg & Dawn made our last experience, by far, the best. We felt like they always had our best interest in mind. Bought a Single Family home in 2018 in Granbury, TX. We were new to Granbury and were referred to Greg Willis for our house hunting. I highly recommend Greg and Dawn for all your real estate needs. They are very professional and extremely helpful. I will recommend them to all my friends and family. Thank you Greg and Dawn for making this transition so easy for us! Very professional, kept us updated every step of the way. Made sale go smoothly and made sure we knew exactly what was going on at all times and explained carefully what we were signing and why. We would definitely recommend them and would use them again. Sold a Single Family home in 2018 in Fort Worth, TX. You know you have something good when you use it more than once!! We sold another home and used Greg & Dawn Willis as our realtors since they did a wonderful job the first time! Each seller and buyer has different situations when selling or buying a home and they could not have been any better or do anything more than what they did to help us!!! Greg & Dawn and their team were recommend to us from a neighbor and we would recommend them to anyone who is looking to buy or sell a home! They are very professional, honest, responsive and very great at what they do! Second home that Greg has sold for me. I saved more money this time around and highly recommend him. Don’t pay 6% when Greg and his team can do the same thing and save you money. If you want to give money away then find a local charity and give it to them. Or send it to me!!!! Greg and Dawn Willis are very professional and knowledgable about all aspects of the selling and buying process. They answered all of our questions in a timely manner and made us feel like we were their most important clients. AND, they saved us over $3,500. ?? Bought a home in 2018 in Crafton, Chico, TX 76431. Very easy to work with. Responds quickly. We changed our what we where looking for and he adjusted quickly. We found just what we where looking for. Purchase was very quick and painless. Sold a Single Family home in 2017 in Granbury, TX. One could not ask for a better experience than the one we had with Greg Willis. He and his wife Dawn (and their staff) went above and beyond in their VERY successful sale of our home. They saved us almost $4,000. But in addition to that, they are genuinely nice, along with being knowledgeable and helpful. We highly recommend them to anyone wanting to sell their home. They not only helped us through the process giving us good advice, they also worked really well with the buyer's agent making the transition a very pleasant experience. Thanks so much for such great service. Greg came out to the house right away when we decided to sell. He had the documents we needed ready, and was very knowledgeable and patient with us. Greg and Dawn took care of everything and stayed on top of our house throughout. We were able to get the offer we were looking for in 25 days. We have worked with Greg and Dawn in the past when we bought the house, and when it was time to sell, there was no hesitation, we called them right away. They are very honest and upfront and are willing to go the extra mile. Dawn checked the contract and even found a mistake by the title company that resulted in us getting even more money. I would definitely recommend Greg Willis when it comes to buying or selling a house. Sold a Single Family home in 2017 for approximately $200K in Burleson, TX. It was a pleasant experience working with Greg Willis. He always answered our questions quickly and he sold our home in a very short time. I recommend Greg to anyone who wants to sell their home. He can get the most for their home and save them money too. Sold a Single Family home in 2017 in Joshua, TX. Greg and Dawn Willis were absolutely wonderful to work with. They made the process of selling our home so easy. Advising us along the way, gladly answering any questions that we had throughout the process. Our home sold in record time! Start to finish this was the best real estate experience we've ever had. We will definitely refer to them as well as use them for our next purchase. 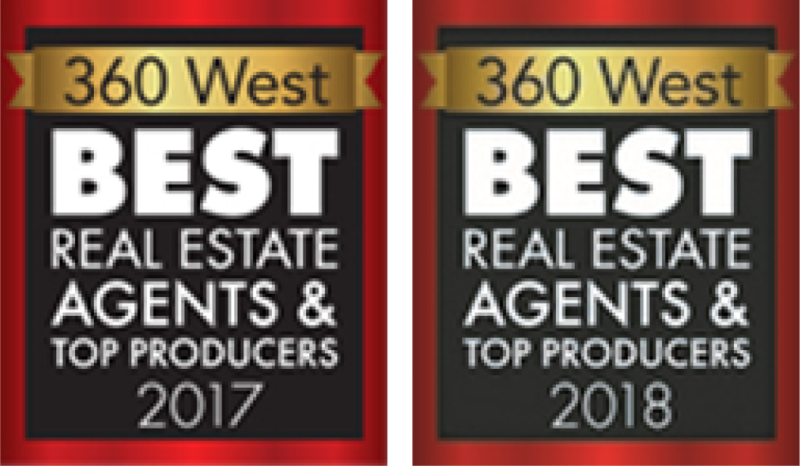 If you are looking for honest, personable, professional people to help with your real estate needs they are the way to go! Bought a Single Family home in 2017 in Blue Ridge, TX. Buying a house is one of the most stressful & exciting things that happens in your life and you need your agent to be your source of answers, a sounding board and in our case, the keeper of sanity. Being new to Texas we had lots of questions. Greg was extremely patient with us and refreshingly un-biased. He actually paid attention to subtle details when we gave him our wish list which helped tremendously in narrowing things down. When we finally found the house, Dawn took over the paperwork end. She had everything so organized I didn't have to worry about the impending contract dates. She and her assistant Liz were both so kind and also very patient with us through the entire process. The the icing on the cake is, when you use Greg, you actually save money. In our case, we saved close to $1300 at closing!! I would recommend Greg & Dawn at Texas Real Estate Savings to anyone looking to buy OR sell, you will be in great, very capable hands. I have bought and sold many properties over the years. I am happy to advise anyone looking to purchase or sell real estate to consider Greg & Dawn Willis to represent you. Their professionalism and responsiveness were completely over the top and they completely had my best interest at heart during the entire process. Their level of commitment is hard to find any more. I truly appreciate their assistance in selling my home and getting me the maximum return! Greg and Dawn were simply wonderful to work with. From the first time we met Greg, we knew we had met a man of character, and professionalism. Every single interaction we had with either Greg or Dawn was positive, professional, and friendly. We cannot speak highly enough of our experience with them! Bought a home in 2017 in Pecan Plantation, Granbury, TX 76049. Greg and Dawn Willis, were very professional, helpful and were always there for us. Yes, I would definitely recommend them to anyone buying or selling a home. Bought and sold a home in 2017 in Weatherford, TX 76088. Greg and Dawn made the selling and buying process run so smoothly. They provided the best advice and always put our best interest first, saving us even more money than expected. Hands down the best experience I've had with a realtor or realty team! I believe the average person wants to save money when buying or selling anything, especially their home. My husband and I interviewed a few agents before making our choice. Greg has a sincere and honest approach and is very down to earth. If your home is truly "move-in" ready, Greg can get your home sold very quickly! One of the best perks about using services is that when you have a question, you can expect to get an answer immediately! They do their best to respond to you as soon as they can and offer "True Customer Service". Our home was on the market a total of 38 days, and after the offer was made we actually closed in only 23 days with no extension on the close date. That is extremely quick! Let Greg and Dawn Willis save you money when you sell your home! Bought a Single Family home in 2017 in Granbury, TX. Greg Willis is very personable and always had our interest as his priority. His communication was clear and honest. Greg was responsive, patient and met every request in an efficient manner. He made our home buying a pleasure. 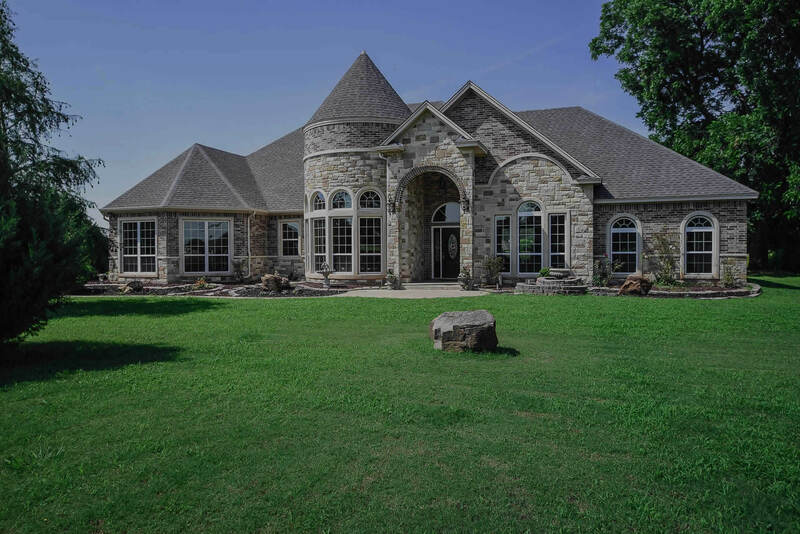 Showed home in 2017 in Pecan Plantation, Granbury, TX 76049. Thank You Greg, Dawn and Liz for making our dreams come true in our long and awaited retirement home. If it wasn't for you guys the purchase of this home, We feel would not have been so effortless. If there comes a time we decide to purchase another house We would not any further than Greg, Dawn and Liz for obtaining the purchase. Thanks So Mych. God Bless and Keep You ! Greg spent many hours with us and never lost his patience. We would highly recommend him to anyone looking for a new home! And the refund we received was an added unexpected bonus! Sold a Single Family home in 2017 in Burleson, TX. Greg and Dawn Willis were very professional and very wonderful to have as an agent when we sold our home. We have sold homes in the past but this time with Greg, Dawn and their team it was not stressful at all! They are very knowledgeable and kept us posted on every thing! Their advice on items were spot on and any time we called with a question they were always there to respond. Greg and Dawn were referred to us by a close neighbor and now we know why, they are great! We will recommend them to anyone who is interested in selling or buying a home!! Sold a Single Family home in 2017 for approximately $200K in Granbury, TX. We could not be happier with our experience. Greg and Dawn were very professional and knowledgeable from listing to closing. They provided feedback from prospective buyers, answered all my questions and were always available. Sold a Single Family home in 2017 in Western Hills North, Fort Worth, TX. Greg and his wife, Dawn, are really, really good at what they do. I would recommend them to anyone buying or selling. They really know what they are doing having been in the industry for 20+ years, understand the market, are very professional, are NINJA negotiators on your behalf, will give you realistic expectations so that you can make the best decision in a challenging situation... all of this and they gave me a better commission rate than any other realtor I reached out to in DFW. So you get premium service at an amazing rate! I will never pay 6% again and will use Greg on all future purchases. Greg and his staff has been very professional in handling all of our needs during the sell of our home. I can't express enough the honesty that Greg and his staff has in answering and following up on our needs and wants. I would highly recommend this group to anyone wanting to buy or sell a home. Kudos to Liz, their assistant who have also been a pleasure working with during the process of selling our home. You are all appreciated more than you will ever know and your hard work and dedication is noticeable and we can't thank you all enough?? Having been a prior real estate agent, I was impressed with the attentiveness we received during our closing process. Very professional! We saved a lot of money! Thank you Greg & Dawn! Yes, we highly recommend you! I just can’t say enough about the wonderful TRES team ! My husband and I decided it was time to sell our Burleson home and saw an ad for Texas Real Estate Savings.com in a local magazine. We were intrigued by their promise to $ave Money so we gave them a call. We knew after our first meeting with Greg that their team was the one for us! Both Greg and Dawn offered timely explanations, professional integrity, the confidence that experience brings, and a genuine willingness to help us get the most out of the sale of our home. From the photography crew to the office assistants it was top notch all the way. The house had a full cash contract within 12 hours and we saved over $2500 in commission cost. Our situation was complicated only when my husband was hospitalized with a life- threatening illness days after the contract was accepted. The entire TRES team went out of their way to support us and to care for me as I juggled hospital visits and made all those arrangements necessary for moving out of the area. Dawn even arranged for the title company to come to the hospital so that my husband could sign the closing documents! Our happy ending, thanks to Greg and Dawn Willis, is a healthy husband and a new home closer to family! Very proffesional he was always available to answer our questions and doubts. We couldn't have a better experience they know the business and advice well, highly recommended. If you are looking to list or purchase a house, we highly recommend Greg and Dawn Willis of Texas Real Estate Savings. Our home in Granbury had a contract within a week and we saved over $5,000.00 in real estate commissions. We made an appointment with Greg who came by right away and gave us the information we needed to make the right decision. After our house had a contract Dawn stepped in to guide us through the process. One of the emails that we received from her was a Timeline (so helpful) of what would happen and when it would happen. We had zero stress in selling our house because they did everything. If you want to save money and work with a professional team who has your best interest in mind, then we would definitely recommend Greg and Dawn. Dawn and Greg were exceptional. They exceed our expectations and walked us through every step so patiently. They gave us the reassurance we were seeking every step of the way. Home buying can be so stressful, but they made it as easy and pain-free as possible. I would recommend them to anyone. They accommodated our every need promptly with excellence and understanding. This would've been a nightmare without them. Dawn and Greg were lifesavers through the whole process. Thanks again!